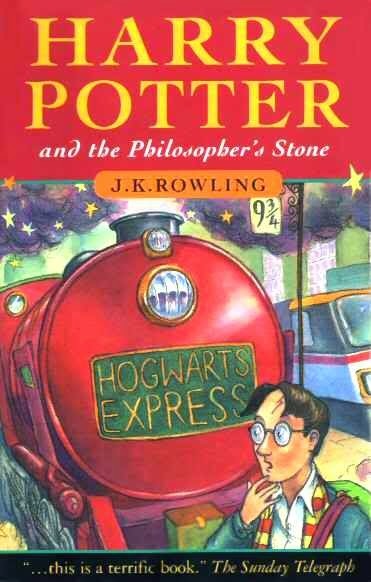 Harry Potter thinks he is an ordinary boy - until he is rescued by an owl, taken to Hogwarts School of Witchcraft and Wizardry, learns to play Quidditch and does battle in a deadly duel. The reason: Harry Potter is a wizard! Meeting Harry again at the beginning of his wizarding career is a pleasure. He is so innocent and vulnerable that Rowling makes you feel that he really deserves all of the wonderful things that happen to him. He hasn't been tainted by the cruelty he's been subjected to by his horrid aunt and uncle, and you can almost feel his essential goodness emanating from the first few pages. I remember completely falling in love with him when I was younger, and I am still in love with him. I especially enjoy reading Harry Potter as a series because Rowling places tiny nuances into the early novels, hinting at the shape of things to come. Having prior knowledge of what Harry will endure in later novels is almost delicious, and Rowling's little hints are as equally thrilling. I got slightly emotional in places here, most memorably when Harry had the Sorting Hat on and it screamed, "GRYFFINDOR," and also when Dumbledore awarded Neville ten points for his house as "he had never won so much as a point for Gryffindor before." The feelings I stumble upon whilst reading through these again are always so strange, but wonderful. It's like a set of old friends who I am visiting after a time apart, which is very odd, but I like it. There are many things, good and bad, that can be said about Rowling's writing (although I would advise you not to criticise her to my face), but her characters cannot be faulted. They are all so rich and full, most of them remind you of someone you know, and you feel what you are supposed to feel for them, whether it is love or hate. The backgrounds we are given are always so concise and so deep that her characters will live on for a long, long time. Rowling also manages to create this fantastical world of witches and wizards and makes it completely believable - so much so that I am of the opinion that the books were written to introduce us Muggles to the existence of the wizarding world in order to gauge how accommodating we would be towards them. We are shown so many weird and wonderful things, but not once does it feel at all far-fetched - it's Harry's world where anything can happen.